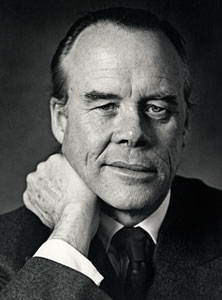 Above all, the NAC benefited from the leadership of a cultivated, far-seeing and highly-placed visionary in the person of G. Hamilton Southam, an ex-diplomat and Ottawa resident, and also from his personal friendship with the project’s leading patron, Canada’s Prime Minister of the day, Lester B. Pearson. Pearson had wanted something special for Canada’s capitol to celebrate the country’s centenary and a national performing arts centre was it. Southam took a modest proposal by local citizens to build a decent concert hall in Ottawa and developed it into a magnificent edifice and national organization for the arts. Built to both produce and present music, opera, theatre, and dance, it was also bilingual, designed to reflect Canada’s linguistic duality – the first, and still the only performing arts centre in the world with such a complex mandate. In the nearly seven years that it took to build, the Prime Minister defended the project in a Minority Parliament and ensured it had the money it needed, while Southam personally led the project and guaranteed that the quality of design and construction was first-class in every way. Superb facilities and highly trained stage crews, which were part of the organization from the outset, have made it a favourite of leading performers from all over the world. Its three main performing spaces, the Opera, (now renamed Southam Hall), the Theatre and the smaller experimental Studio were on the leading edge of theatrical technology when they were designed and remain, over forty years later, among the finest performing spaces in Canada. These halls have not only presented so-called “high art”, such as operas, ballets and symphony concerts, but also have played host to a huge array of Canadian and international variety artists and popular performers – from Yves Montand to Ginette Reno, from Barbra Streisand to Gordon Lightfoot, Neil Young and the Bare Naked Ladies, as well as big-stage touring musical theatre. The intimate Fourth Stage which serves the local community was created out of a former shopspace and party room in 2000. Hamilton Southam was not only the guide that led the building to fruition. He also became its first Director General. Under his leadership during its first decade, the NAC blossomed into full-fledged activity. Its first and perhaps finest creation was the National Arts Centre Orchestra, a 45 member chamber-sized ensemble designed not to compete with Canada’s larger symphony orchestras elsewhere in the country. Approved by the federal cabinet, it was created to be mobile and fleet-footed, intended to tour across Canada and to the country’s nethermost regions. It set out to do this immediately. The creation of the orchestra was a singular achievement which occurred in barely a year. 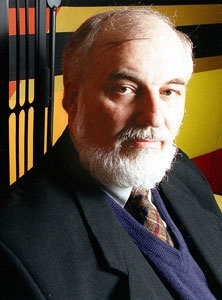 Jean-Marie Beaudet, a senior CBC executive who was loaned to the NAC project and ultimately became the NAC’s first Director of Music, led a team that auditioned Canadian musicians throughout Canada and many who had gone abroad to find work which was scarce in the country at the time. 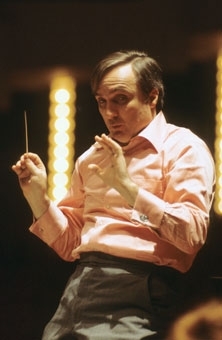 He found the orchestra’s first conductor, Canadian-born European-trained, Mario Bernardi at London’s Sadlers Wells Opera and the first concertmaster, Walter Prystawski, in Bern Switzerland. When the musicians assembled in Ottawa in the summer of 1969 to prepare for their first concert series that fall, the vast majority were Canadians. When Beaudet fell ill and subsequently died shortly after the centre opened, Mario Bernardi took over as both conductor and Music Director. Theatre at the NAC was not neglected although an early plan to make Ottawa the Stratford Festival Theatre company’s winter home fell through. Instead, theatre initially was a mix of visiting companies from across the country and in-house productions. Despite severe growing pains, by the late seventies, the bare outlines of a permanent resident company was being sketched out under the leadership of Jean Roberts as Director of Theatre with Jean Herbiet as the associate director for French theatre. Leading dance companies, both classical and modern, Canadian and international, were regularly booked into the NAC but the centre marked its greatest success and built its name internationally during the Southam era with opera. 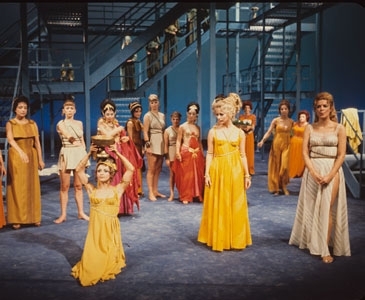 A summer festival in the capitol had always been part of the NAC plan and with the experienced opera conductor Mario Bernardi in-house, the new NAC opera productions became the centerpiece of a summer music festival that attracted fans, critics and leading artists from across Canada and abroad. Its enormous expense however was to prove unaffordable. By the time Southam retired from the arts centre in 1977, there were already financial storm clouds gathering as the years of the sixties and early seventies, which had been fuelled by government largesse, were about to give way to severe belt-tightening in Ottawa, and galloping inflation that ate into the national budget. Cutbacks loomed on the horizon. The fluently bilingual Montreal lawyer and former Director of the National Theatre School, Donald MacSween picked up this problem when he was appointed the second Director the NAC and took up his position on April 1, 1977. His dream was to create a permanent theatre company in both French and English, similar to the NAC’s permanent orchestra, and at first the then-Liberal government, now led by Prime Minister Pierre Elliott Trudeau, helped as best it could. The great French-Canadian theater actor and director, Jean Gascon was hired as Director of Theatre and money was initially found for the project in special funds controlled by the federal cabinet that were being used to combat both rising unemployment and separatism in the country. While there was to be no permanent funding for theatre, as there had been for the orchestra, this period still helped enable great growth in theatre across the country and particularly in Quebec and the NAC played a pivotal role in such projects as creating the national theatre organization, PACT, and in aiding and assisting the creation of theatre generally in the country. In this period the young and precocious Quebec theatre director, André Brassard, who had brought most of Michel Tremblay’s plays to the stage, took over as director of French Theatre at the NAC and during his tenure attracted the largest audiences for French theatre at the NAC in its history. This record still stands. NAC theater companies for a brief time toured from coast to coast in both official languages. 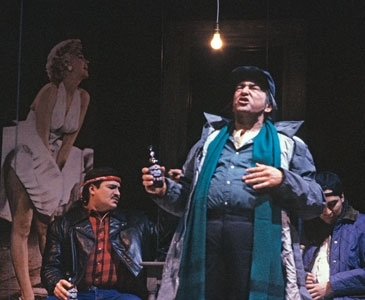 A lack of funds made MacSween’s mission impossible and a lasting permanent resident theatre company for the NAC lay over twenty-five years in the future. The following period at the NAC, often known as “the dark years”, was marked by turmoil and instability, primarily caused by reduced funding from the federal government upon which the centre depended. After several interim leaders, a new director, Yvon DesRochers, was appointed along with a new chairman, businessman Robert Landry, who was well-connected to the Conservative government that had come to power in Ottawa. Working as a team they tried to devise a new formula to save the performing arts centre. With an expanding television universe and a projected 100 new channels on the horizon, they saw the electronic medium as the solution. DesRochers’ visionary concept of using High Definition Television (HDTV) to aid the arts (a technology now commonly used by the Metropolitan Opera and other leading arts organizations around the world) was far ahead of its time and, despite their best efforts there was no support for the idea across the country. A continuing lack of funds brought operations at the NAC close to a standstill. Key artistic staff, including Director of English Theatre, John Wood, and the renowned international actor and director Robert Lepage, hired as Director of French theatre by DesRochers, both left the centre because they could no longer accomplish their ambitions for the theatre. There was talk of privatizing the centre, an idea which was unworkable as no private enterprise could take responsibility for the NAC’s broad national mandate. 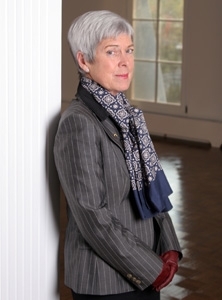 Throughout the 1990s as deficit fighting continued in Ottawa yet another new NAC Director General, Joan Pennefather, a former head of the National Film Board, came and went within a year. Finally, a genuine private impresario with a long track record of success in bringing international companies from the Soviet Union to tour North America, John Cripton, was hired to run this very public organization. Cripton was the first to fully realize that government could no longer be the sole source of funding for this great national cultural organization. While he set about to re-energize the flagging arts teams at the Centre, which had continued to keep the NAC stages operating night after night in the face of appalling difficulties, he also initiated the first organized private fundraising initiatives for the centre. Imbued by his enthusiasm, supporters began to return to the Centre, attending its first grand fundraising gala, featuring the NAC Orchestra, which donated its services, and the great American soprano Jessye Norman. The brilliant violinist Pinchas Zukerman was also hired by Cripton to become the NAC’s new Music Director, his star quality and talent bringing a bright new focus to the organization. Unfortunately, a magnificent but mishandled million-dollar gift from a Russian NHL hockey player, Alexei Yashin, playing for the Ottawa Senators, collapsed and this was to prove Cripton’s downfall. In a dispute with the board of directors, he was forced out of the Centre, leaving both its staff and the public, who had been thrilled by the NAC’s reviving fortunes, close to despair. While Cripton’s departure was seen as a setback, especially by the artistic staff, unknowingly it set the stage for a dramatic renewal of the NAC. Cleaning up the mess left over from “the Yashin Affair” was placed in the capable hands of an interim director, Elaine Calder, an expert arts administrator who had previously worked for the Canadian Opera Company. While she chopped and trimmed and took the hard measures needed to reorganize the centre, news of what had occurred struck a chord with the public. One benefactor who heard the news of the aborted recovery on CBC radio, Toronto philanthropist Grant Burton, immediately telephoned the arts centre offering a $400,000 donation if it was matched by others. A similar pledge was received from Ottawa donor, Michael Potter and within days the NAC Challenge Fund was launched. Several weeks later when the final tally was in, $2.1 million had poured into the NAC’s coffers from the general public, both in Ottawa and from every province and territory, and included donations from a vast roster of high-profile Canadian artists who publicly declared their support for the National Arts Centre and its importance to the life of Canada’s arts. Seemingly overnight, the organization acquired a new lease on life. With this amazing and positive reversal of fortunes, the NAC was ready now to move into the modern world of arts production and financing. The appointment of the distinguished arts administrator, Peter Herrndorf as newly titled President and CEO in 1999 has provided the leadership which has allowed this to occur. Working in collaboration with two successive and highly competent consecutive board chairs, Dr. David Leighton and subsequently Mrs. Julia Foster along with a renewed and vigorous new board membership, the National Arts Centre has gone back to its first principles of serving the national interest while re-casting itself in a new financing model. Today, nearly 50 percent of its budget comes from non-government sources with a healthy chunk of that coming now from private fundraising. A full-fledged National Arts Centre Foundation has been created for this purpose. North America. The artistic leadership in French theatre including Denis Marleau, Wajdi Mouawad, and Brigitte Haentjens has created worldwide connections for Canadian arts activities throughout the francophone world while in English Theatre’s Peter Hinton, the NAC has attracted one of the leading English-language directors of the day. Hinton has also revived the much beloved resident NAC English Theatre Company which now attracts more than 20 actors from across the country to work on several productions each season at the NAC. Above all, the NAC has clearly defined its national role in Canada’s performing arts, through partnerships, through assisting artists and companies throughout the country, for bringing the best of what each region of the country has to offer to Canada’s capitol in the now bi-annual Scene festival. In a world drowning in fast-changing electronic media of all types, the work at the NAC demonstrates the ageless importance of the live performance and that “there is no substitute for the real thing”.